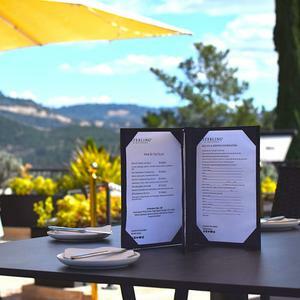 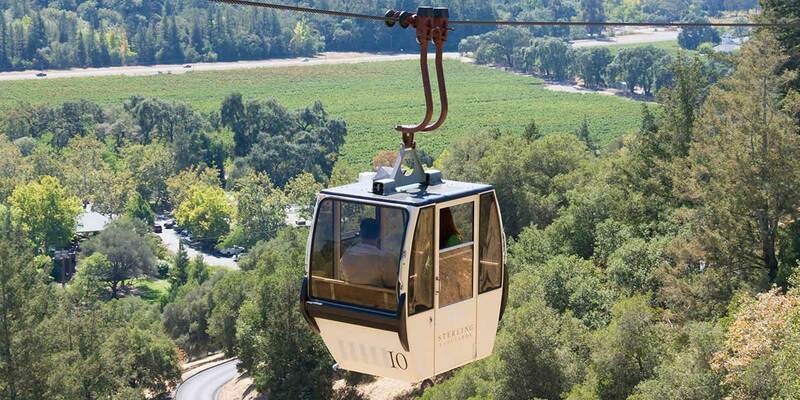 Your visit starts with a one-of-its-kind aerial tram ride up the hill to the winery. 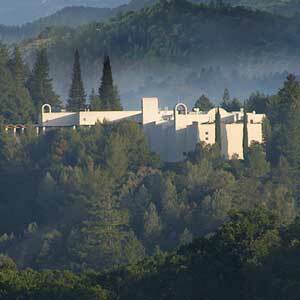 Modeled on the architecture of Mykonos, the famed Greek island where Sterling founder Peter Newton once lived, the brilliant white stucco winery architecture stands out dramatically against the rugged Mayacamas and Vaca mountain ranges that flank each side of the valley. 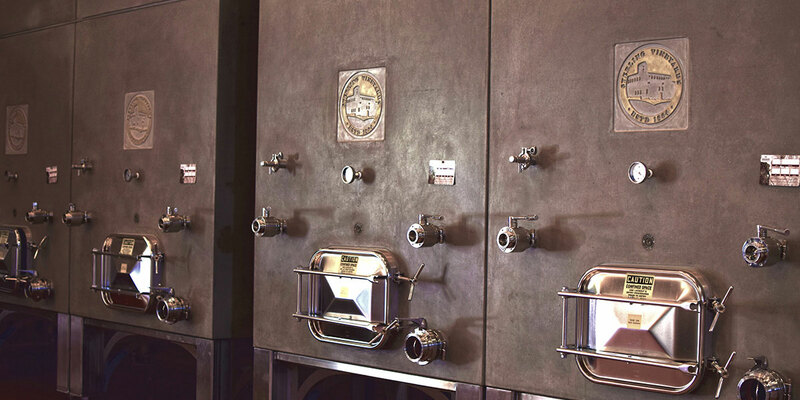 The winery’s iconic towers house eight bells from London’s Church of St. Dunstan-in-the-East. 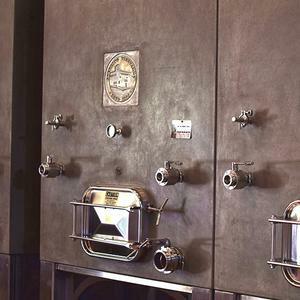 The church was destroyed by fire in 1666, rebuilt, then destroyed again during the bombing of WWII, yet the bells survive today at Sterling tolling every 15 minutes. 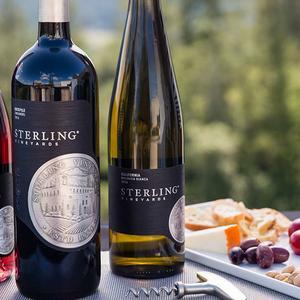 Walkways, balconies, and digital monitors allow guests to take a leisurely yet educational self-guided tour of Sterling Vineyards’ winemaking facilities while enjoying unparalleled views on the South View Terrace. 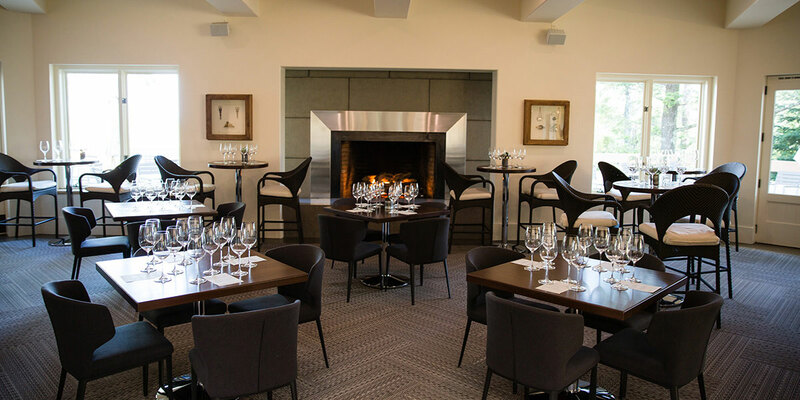 The winery was designed with the visitor in mind, incorporating galleries and overlooks that allow guests to view the entire winemaking process. 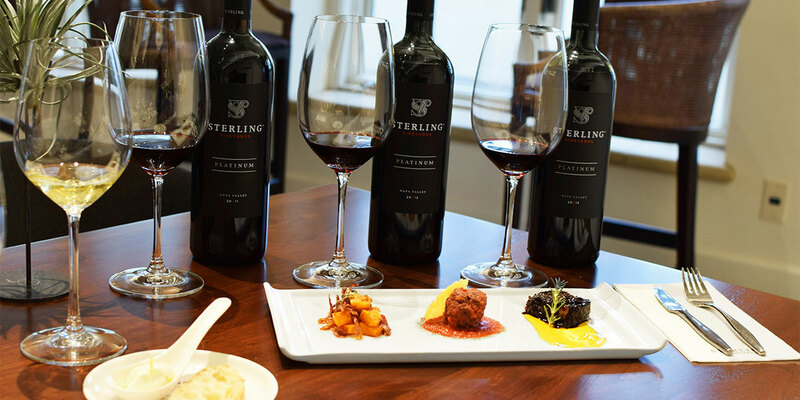 To fully experience Sterling, guests are encouraged to indulge in either the Silver or Platinum experience. 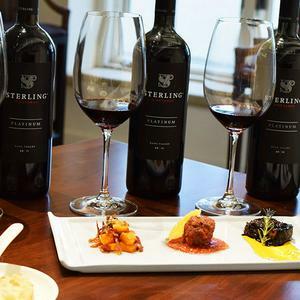 Both offer a more private seated tasting experience featuring winery-exclusive luxury wines, with the Platinum focusing on gourmet food and wine pairing. 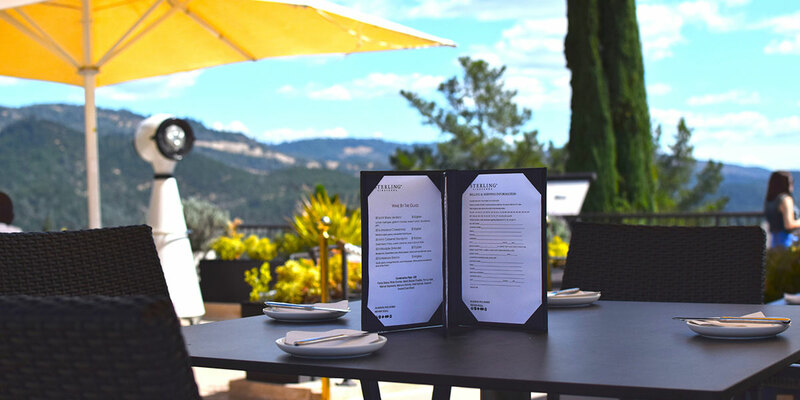 Either experience is sure to impress! 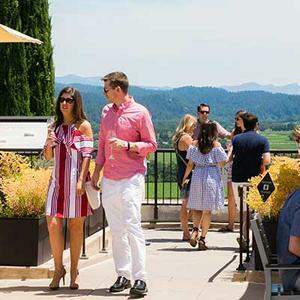 General admission guests are greeted with a glass of wine to enjoy while strolling along the newly refinished winery overlooks and elevated walkways and learning about the winemaking process from grape to glass. 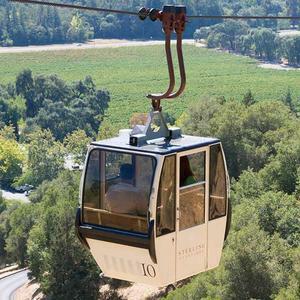 Our aerial tram is one of a kind in Napa Valley, offering stunning views as visitors ride to the winery. 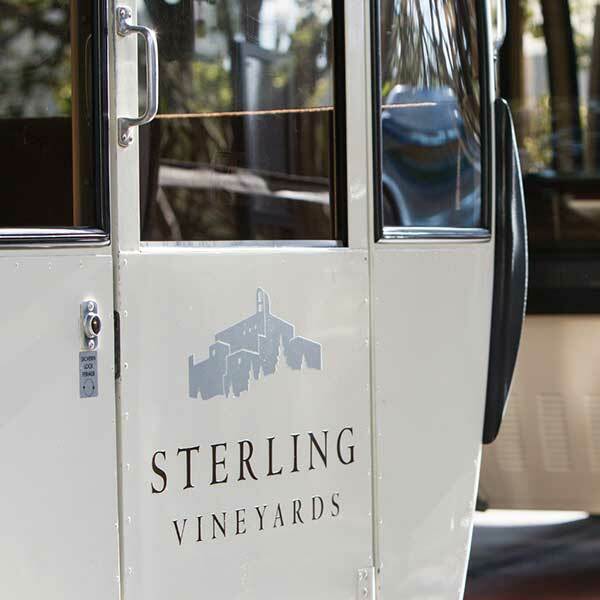 Like the winery, Sterling’s aerial tram was conceived with both functionality and aesthetics in mind. 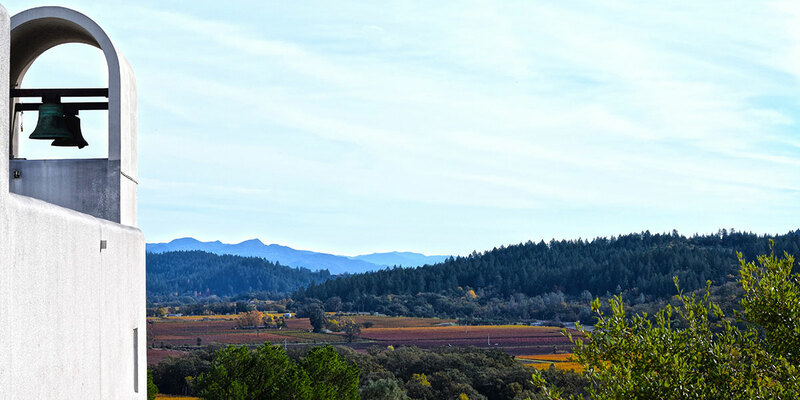 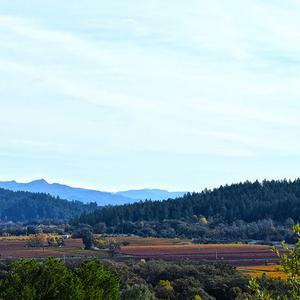 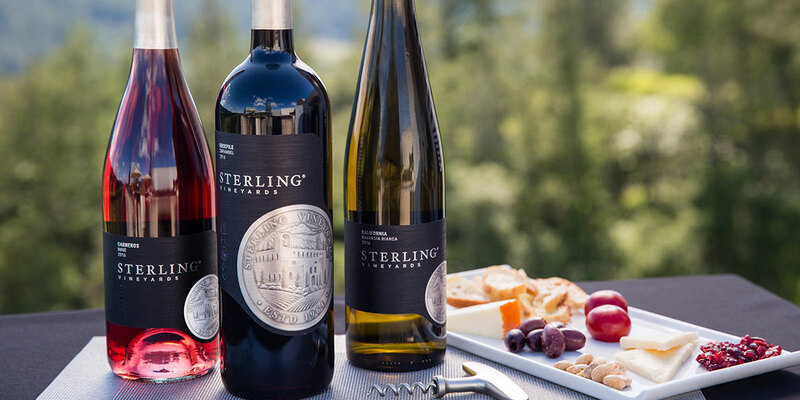 Perched over 300 feet above the historic town of Calistoga, Sterling Vineyards offers the best views of Napa Valley. 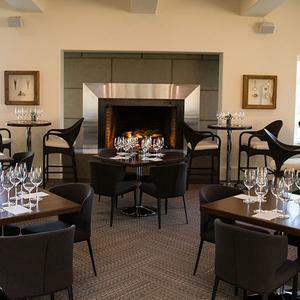 Long regarded as one of Napa Valley’s “must-see” wineries, guests are wowed the moment they arrive.